Depending on where you are located in the UK, your first job is to secure cheap flights to Naples and you need to do this sooner rather than later, but once you have your flights, the fun part of planning the trip can begin. There are a number of ways of getting from Naples airport to Sorrento, the cheapest being the Circumvesuviana train for a handful of Euros, but after landing at 13:00, we decided that rather than worrying about staying safe in Naples and carrying luggage around with the mid-day summer sun hitting 31°C, it made much more sense to pay 25 Euros (per person) for the lovely people at Sea Horse Car Service to pick us up from the airport and drop us at our hotel in Sorrento in under an hour. Arriving at our accommodation the Ulisse Deluxe Hostel, we were perfectly located within a 10 minute walk of everything that we need to tour the Amlafi Coast and beyond. Before I launch into getting around and travel itineraries, do not be fooled by the name of the accommodation, this is certainly not a hostel and much more like a 3-4 star hotel. Breakfast is served with Vibrant colours! The reason we chose the Ulisse Deluxe as our base, was for the perfect combination of unusually high praise on Trip Advisor, perfect location, free Wi-Fi and there was also the all-important free all you can eat breakfast buffet if booking via Expedia. Dining out when travelling, especially in Italy can be quite costly, so if you can start the day with a big breakfast, then you will only need the odd snack during the day leaving you to enjoy an authentic and romantic Italian evening meal as the sun goes down without worrying about money too much. As you leave the hotel you have two options, which are turn left and take a 10 minute stroll down to the Marina Grande in Sorrento which was without doubt my favourite location for a romantic meal at night, which is also free from the large crowds of tourists leaving you to enjoy the sunset and Mount Vesuvius dominating the landscape. However if you leave the hotel and turn right, followed by an instant left turn you quickly find yourself on one of the main streets of Sorrento called Via San Cesareo and can be enjoying the best Gelato in Sorrento at Raki within a few minutes. Another 5 minutes later and you are in the Piazza Tasso which is just a stone’s throw away from the Sorrento Marina Piccola for ferries to Capri, Amalfi Coast and the Sorrento Circumvesuviana Train Station which is ideal for trips to Pompeii, Mount Vesuvius, Herculaneum and busses to the Amalfi Coast. After quickly getting our bearings on our first afternoon, here was our approximate itinerary to cover as much as possible on our trip. After making the most of the Breakfast Buffett, we had taken a ten minute stroll to the Circumvesuviana Train Station and purchased a return ticket to Herculaneum and a ticket for Mount Vesuvius from the small newsagents at the station. 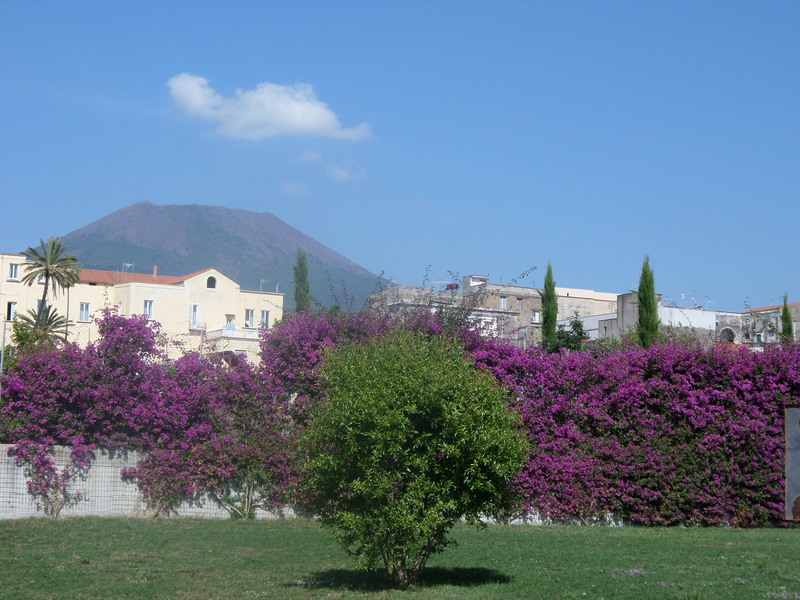 A 40 minute ride to the Ercolano Scavi stop and immediately outside of the station on your left is an office to validate the Mount Vesuvius ticket that we purchased from the newsagents earlier and we were then ushered onto a mini bus to begin our journey up the active volcano. The bus journey takes you within a 20-30 minute walk to the summit of the crater and as long as you are moderately fit, you shouldn’t have many problems and its more than worth to walk. After all it’s not every day that you get to climb up an active volcano. Once you have ticked Vesuvius off your bucket list, you are dropped back off at the Ercolano Scavi train station stop, which is a ten minute walk to Herculaneum by exiting the square diagonally right (the only way out of the square). Once at Herculaneum, you can save a few Euros and a lengthy queue at the ticket office at Pompeii tomorrow by purchasing a Herculaneum/Pompeii pass. Herculaneum in many ways feels like a bite sized version of Pompeii but everything is better preserved and the smaller crowds make it a more enjoyable experience. You already have your ticket for Pompeii from yesterday, so set aside 5 hours and head straight to the Circumvesuviana Train Station. Once again buy your return train ticket from the small newsagents and get off at the Pompeii Scavi stop and smile smugly as you skip the queues and head straight into Pompeii. Ensure that to pick up a map as the size of Pompeii can be somewhat overwhelming, especially in the heat where this is no escape from the summer sun. Try and avoid the mid-day sun and make sure you are wearing comfy shoes would be my biggest tips to enjoying the day. Why not visit in the afternoon, to avoid crowds and the hot sun? Quite an expensive day out but really worth it, begin by heading down to Sorrento Marina Piccola for around 9am but it might be worth checking the ferry schedule in advance utilising your free Wi-Fi the night before. Purchase your return ticket to Capri which will probably give you a choice of times that will be around outward journey 09:25 and returning at around 18:45. When your ferry pulls into Capri, cross straight across the road and purchase an island tour ticket, this will last for around 2 hours and you will be given the additional optional extra of a blue grotto tour towards the end of the trip for around 13 Euros. With the island tour and Blue Grotto completed, head up to Capri on the funicular railway, during the summer you will be shoulder to shoulder with tourists and will be looking for some respite fairly quickly so simply head to the small bus station and get a return ticket to Anacapri to escape the crowds. Here comes the fun part, after checking out the quiet side streets, you can hop on a ski like chairlift to Mount Solaro which is a fantastic experience for a 10 euro round trip before finally heading back to your vessel of choice back to Sorrento. I did too much research on this daytrip in advance and there is no concrete answer on the best way to handle a daytrip to the Amalfi coast with so many options to consider. Basically you can approach the coastline by the local SITA buses where you can purchase a day pass to cover the entire coast for a small amount or you can perform the same trip by sea which is quicker but will cost you more money and both offer a slightly different experience. Many online have suggested that in order to experience the best of both worlds, the most sensible option would be to take the SITA bus to Postiano and then the ferry from Positano to Amalfi whilst finally taking the SITA bus to Ravello and finally back to Sorrento from Amalfi by either bus or sea depending on your preference. However the reality of using the SITA buses in June seemed to involve 400 people arriving for the same bus at the same time and a few cheeky punters simply pushing to the front of the queue which ultimately ends up in a free for all so if this is something you are considering, try to get there as early as possible before the masses arrive. Alternatively you could go for an organised tour from someone like Thomson Excursions where you can see Positano, Amalfi and Ravello for £31.99 without the hassle of queue jumpers and expensive ferry prices. There is a small restaurant at the end of the Marina Grande in Sorento that doesn’t have anyone on the door begging for people to give them a try. In fact considering their position where anyone that reaches the Delfino has already passed numerous restaurants only to be greeted by a sign saying “reservation’s only” but this family run restaurant business would much concentrate on happy customers rather than have an over full restaurant. How refreshing is that? Even if your find yourself on the wrong end of the “reservation’s only” sign don’t be afraid to try your luck as this family run business will always try their best to squeeze you in as long as you arrive before 8pm. After visiting most nights of our stay during our holiday, it was fantastic to feel a part of their family for a few days and pride themselves in making every diner that passes through their doors feel special. 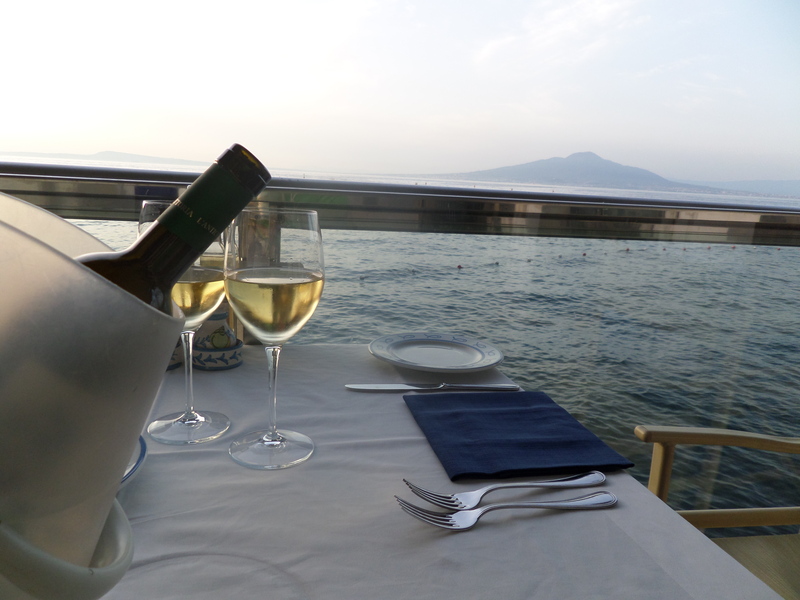 It’s not hard to see why the Restaurant Bagni Delfino is the highest rated restaurant in Sorrento on Trip Advisor, so I urge anyone reading this to make sure you make your stay is extra special by enjoying a meal with the sun setting over the water of Marina Grande and Mt. Vesuvius in the back ground. You will struggle to find anything more romantic or magical than that! Thanks Luke, much appreciated. You heading off on a similar trip? Great read. Thank you. We are heading to Amalfi Coast in July. No problem at all, I hope you found the post helpful. Let me know if you have any other questions. Great advice, will definitely use this as our template, save invaluable time. Much appreciated. Thanks Andy, let me know if you think of anything else before you make the trip. Thanks Andy, let me know if you want to know anything else before you take the trip. We just completed a two week trip to Rome and the Amalfi Coast utilizing ALL your notes for Amalfi. All I can say is FANTASTIC detailed info. I encourage all to take time to check this out.Your specifics really eliminated a lot of stress in planning and the actual trip! Grazie mille! So sorry Maureen, I have just seen this. Glad you found the information useful. Hello, we will spend about 6 days just in the Amalfi coast on May. Do you think it will be as crowded this time as well? 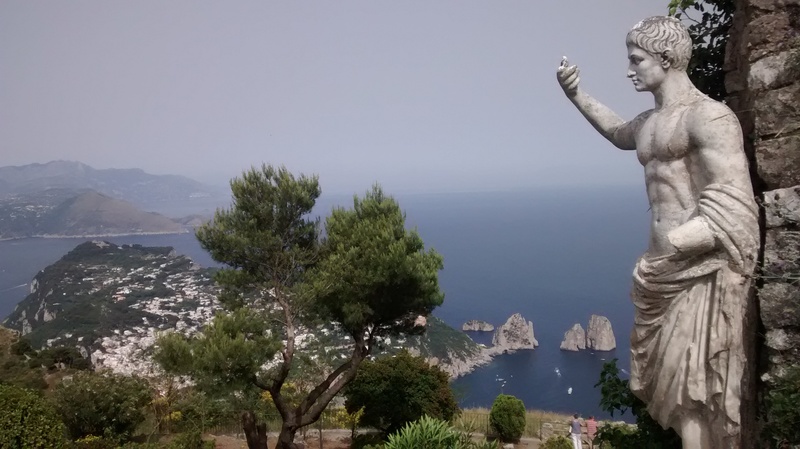 Your recommendation to the Positano/Amalfi/Ravello – did you do these 3 places in one day, or did you take a day for each? I am happy to hear any recommendations you may have. We are staying in Positano. Hi Neil, Great post and thanks for all the fantastic tips. I was inspired, and we are now booked to visit Sorrento in October. Can you tell me any more about Capri? Sounds like a nightmare to navigate (hoping it should be much more pleasant by early Oct!). Was the island tour you mention a boat tour or a bus tour? Do you think one day is sufficient in Capri? Concerned about spending lots of time travelling from place to place and not being left with long to enjoy each location. Bar the Blue Grotto, are there any specific sights you’d recommend? A day in Capri is all you need, but I would try and get one of the earlier boats before 09:30am. Once there get on a boat tour around the island that also takes in the Blue Grotto. Once you have done this, hop on the funicular train to the top and enjoy a nice walk around. Before you go, you need to do the “Hair-raising single chair cable car ride” for great views. It did not feel too rushed even in June and you should be back at your hotel in Sorrento before 7pm for a nice evening meal. Hi Neil. Which tour company would you recommend for the boat around Capri, and how much should we expect to pay? Did you buy a ticket which included the return funicular? I am trying to do a research to plan on our upcoming trip to Capri. Then I came across your article. My husband and I are leaving on 9/27/17 and arriving Naples on 9/28/17 and returning to USA on 10/8. 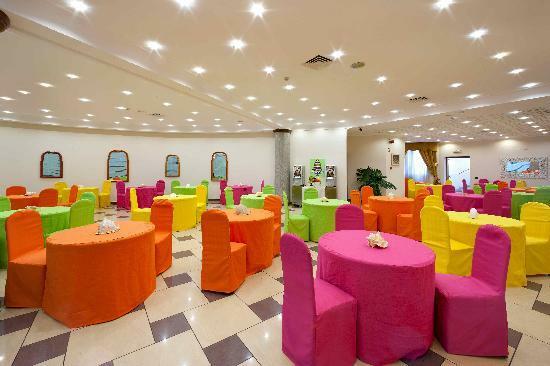 I’m wondering what will be the best hub (Sorrento?) before we head to Capri for a conference on October 3-5 but plan to check in the hotel in Capril on 10/2 and check out 10/6. I would like to seek for your advice on how to plan the free days (9/29-10/1 my birthday) and 10/6-10/7. Thanks much. My advice would definitely be to avoid Naples and use Sorrento as a base. The transport links are perfect from there. 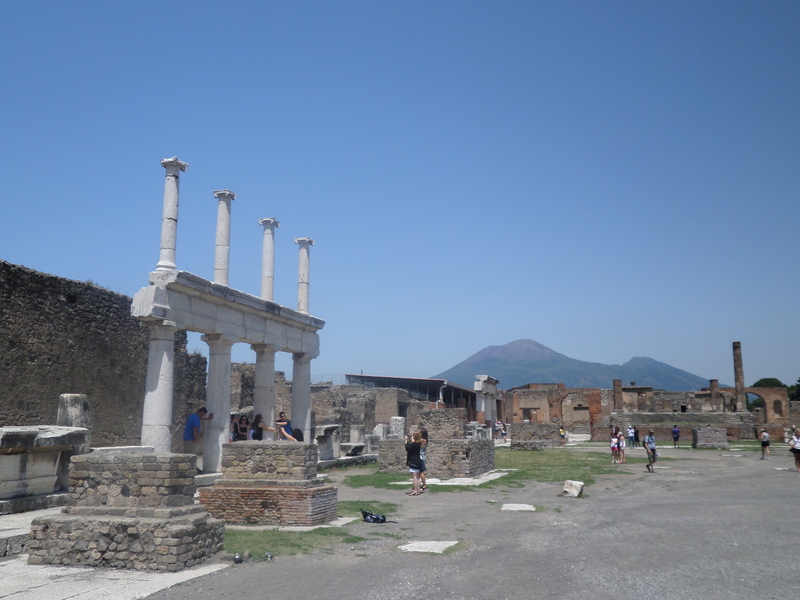 Pompeii is a must visit for obvious reasons BUT, you will enjoy the day where you do both Mount Vesuvius and Herculaneum a little more. It sounds like you have plenty of time to see and do all of the above, so have a fantastic time and let me know how you get on. Thanks much Neil. I’ll keep you posted when we return from our trip. I’m afraid that all I can remember is we got off the ferry and immediately across the road was a ticket booth that everyone heads for. We picked up a ticket and then crossed back over the road and got the Capri tour boat which was pulling in near the ferry. I can’t remember the price but I don’t think it was too expensive. We made the mistake of thinking we could walk up because I am old school but ended up getting a single funicular back down. Who would walk up and get the funicular down? Me, I’m a little strange like that. Remember to do this too hair-raising single chair cable car ride for great views. Thanks for all the info Neil, i have taken on board what you have written and will start my plan. Excellent post Neil, really helpful in starting to put a plan together for our 3 week honeymoon to Italy in October. With more time, is there anywhere you would have stayed longer or added to your itinerary in the area? Or, is there another part of the country you’d recommend bolting on to our travels? We don’t want to spend every day travelling, we want time to relax and unwind, but having never been to Italy we’re also keen to see and experience the highlights and not waste too much time in the same place. Thanks so much for the kind words. I must admit that I am gutted I never made it to Ravello for one of the romantic outdoor concerts overlooking the ocean. I would certainly look into that. But I would not bother heading to Naples, it’s a little rough and ready to say the least. For our honeymoon, we went to Venice, Florence and Rome and it was one of our fave trips ever. Would you be able to squeeze this in too? Hi Neil, just a follow up comment to say we really enjoyed our week to Sorrento/Amalfi Coast and utilised lots of your suggestions such as Bagni Delfino and Raki! Thanks so much once again for your invaluable insights. Unfortunately there seems to have been a concerted attempt to squeeze more money out of tourists – they no longer do a combined ticket for Pompeii and Herculaneum, and the Mount Solaro chair lift and Blue Grotto prices have gone up, for example. Ravello was absolutely stunning and undoubtedly our favourite Amalfi Coast town. If you ever go back, I highly recommend putting it at the top of your list and heading straight for the unforgettable gardens of Villa Cimbrone. Thank you once again for the tips!